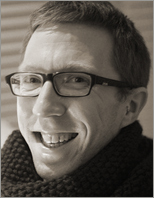 Bruno De Bondt has been theming and developing with Drupal since 2005, specializing in independent media sites. After stumbling upon Drupal while looking for an open source CMS to build a major Belgian citizen journalism website, he was captivated with its flexibility and the project's community. His contributions to Drupal include documentation and usability testing, with a focus on multimedia, and modules that improve editorial workflows.